A few days ago, Chloe moved to a new city where her favorite games weren't accessed. She came across a wonderful game called Jumpstart. She saw so many people being nice and caring. She loved Jumpstart forever. She moved again after one year and Jumpstart was still around. She heard Jumpeez saying JS will close down soon and she cried. After 2 years, nothing closed down and she was happy as can be. She learned from Jumpstart and got A's on everything. She was the top student and she's 13 today, but still playing. Once there was a girl named Emma that loved books so much! She thought books could be her life. She read so many books that her mind was filled with facts and scenes! She played and acted the scenes she knew. When she was bigger, she became an actress on Broadway in a drama role! Thanks to Jumpstart and her books, her life is awesome! The Mythie Who Loved to Fly! Once upon a time, one Mythie named Starlight learned to fly with her rainbow wings. Everyday she flew very far into the clouds and all the other mythies said not to fly so much because you could get tired. One Mythie who loved to fly too said not to listen to the other mythies. That one mythie was named Dash Dash. Then Starlight and Dash Dash flew everyday together. Danielle RainbowFox was at Adventure Land when she saw a giant ride! She looked at it for a long time. Her eyes were shiny and she asked if she could go on it. Her mother said, "Yes". Danielle was very happy. She went in the line and when she got on it started moving. Soon it was going as fast as you can say yes. Soon it was over and she was so happy she went on again and again. After she finished going on the ride she went on other rides and then got ice cream. The end. I like Panda Bears! They live in China. They eat bamboo and have cubs. When the cubs are first born they are pink! I think Panda Bears are neat! However, they are endangered. There are like 100,000 (I think) Panda bears still around. So it's up to us to keep them safe! To learn more about pandas research or check out a book in your book store! I sure hope you decide to look up them! Once upon a time, Ashley Panda was wandering around. Then a mystic portal appeared at her feet! Cautiously stepping in, she grabbed her pet panda that always followed her around. "Ahhhhh!" Ashley Panda screamed. She was falling down a deep, black, hole. Then she saw daylight! Inside the mystic land, she saw pandas and Pokémon galore! Her own panda palace awaited her! Ashley Panda had a good life in that world. But suddenly, another portal appeared at her feet! "Here we go again..." Ashley Panda muttered while grabbing her pet panda and jumping into the new portal to see what awaited her and her curious thoughts. Ella always loved art and was excited about going to The Art Studio. Her mom said that it was good that she loved art. Grandma was excited too! She liked to see Ella happy! Ella did feel happy. She was happy that she was doing art. The next day when Ella went to The Art Studio she found that she made a lot of Jumpee friends. One time, I met a lady that had ice powers and a kingdom! Her name was Elsa Snowflake! She was my friend. We played together, laughed together, and she made funny ice sculptures like a tiger with an afro and like a vampire that has a pet wolf with a white afro. We are best buddies forever! Once upon a time, there was a girl and a boy. They were best friends and they always did the talent show together but then something split them apart. It was the bad witch! Now they have different Buddiez and they don't have each other. They all forgot about it. Then one day the girl said "Say a spell to help!" and her friend the boy did. The witch then vanished and they were friends and all happy again. Once upon a time there was lady named Amy and all she ever wanted to do was have fun. She told her work she'd like to stay at home and they said yes. Amy jumped for joy! She went and watched the news. They said that her neighbor built a time machine. She remembered that her neighbor was out so she snuck in his house and got in the time machine. She went back in time to when she was a child. She was then her size when she was a child and she lived happily ever after. THE END. One day I was swimming in the water, and then I felt my leg. But it wasn't a leg, it was a tail! I started to swim, and I was really fast! Then I decided to live in the ocean. But before that, I shared my secret with my friends. They thought it was amazing! After saying goodbye, I realized I could still stay, so I told them I wasn't leaving after all, and that is where I stayed. The End. Once upon a time there was a dragon called Golden Gem. She laid a dragon egg and then put it in the egg nursery. "Hey little guy", said Ivy when she found the egg. She picked up the egg and then another Jumpee came looking for an egg and chose a different one. Then 2 days later, it started hatching and cracking. Ivy didn't know what to do, no one had dragons. Then she picked up the egg and put it in a leaf. Then she said, "I will adopt this dragon egg and name it Funny Gem." She picked it up and rocked it and it fell asleep and when it woke up 2 little legs and eyes popped out of the egg an eggling! Ivy raised it and it roamed happily along the paths as a kid dragon! Jumpstart is such a fabulous place to stay. On my first day in Jumpstart, I was worried everyone wouldn't like me. Then a dog came up to me and greeted me. He said my name is Frankie, welcome to Jumpstart. I smiled and said: "Hi, I'm Chloe Dragon." He grinned and then walked away. Then, I thought Jumpstart was fun. On Saturday, I went to visit my friend, Hunter Colt. He played football as I was cheerleading. I started to love Jumpstart. I had so much fun on all the days I've went on Jumpstart. So I hope everyone will enjoy Jumpstart as well. The End. Holly and Gabriella are bestfriends and they are sisters. They love to play and go to the Enchanted Sanctuary and fly with their mythies. It is so fun to play with my sister and I love her and she loves me too. We love to dance and sing and play outside and we like to go to Downtown and we love to go shopping on JS. Once upon a time in a far away land, there lived an old oak tree. There was also a boy named Gavin. Gavin loved that tree. He climbed on it every day and huggged it every chance he got. One day the mayor of the city declared it shall be cut down. Gavin was disappointed. He had to do something. He tied himself to that old oak tree. He waited and waited for them to come and find him. It took them two days to find Gavin! When they did find him, they changed their minds about declaring the tree cut down. Gavin got to keep his tree, and he lived happily ever after!!!!!!!!!!!!!!! THE END! Hi, I'm Jake BlackBear, and I went to swimming with my best friend, Chase BrownNewt. Then, Jasmine Black Bear and my parents and I had a picnic in the woods. We played pirates in the water park. Then, I rode a red bike. It's new! Finally, I ate dinner and slept at Chase's house for sleepover. I woke up, and went to see Frankie. He's the best! Then, I saw fish in an aquarium. I went to AdventureLand. It was great! I like going in summer. The End. It was now time to release my Mythie. With a gold and white coat, my Mythie and I parted. But a good part about it was that I got an Eggling! I ran to the tree where the eggs were, and then the Egg started to crack open to where it's feet and eyes could see. I named it Rain River and painted it dark blue and black. "I can't wait to see what will come out of the Eggling!" I said joyfully. Alice woke up from her flower bed. She brushed her hair and changed her clothes. Then she looked in the mirror shocked. She noticed that she had wings. She was given a bottle full of glittery stuff when she helped a fairy. Maybe it was a magic fairy potion. Alice flew to her window and saw the fairy flying and winked at her. Alice smiled and winked back. She finally had the opportunity to be a fairy. She grabbed an apple and flew outside. One morning I woke up, it was a beautiful day. I put on my bathing suit and went to the pool. I played with friends. It was a great day. Then I noticed that days always end. My day was awesome but all days come to an end. I called some friends and I wanted to see if they wanted to sleepover. I told them how I never wanted this day to end. They told me about the time stopper. You can stop time and continue with the day but the time would stay the same. I ran to the lab and asked Proffesor Puffy if I could borrow it. I brought it home and all the clocks paused. 17 hours later I went back in my house. It was so bright! I wanted to sleep. Sadly I would have to start the time back up again. Instead I just went under the covers. I woke up and the time stopper was broken! It was gonna be like this forever! I learned my lesson and would have to live this day forever. TRUE STORY. This is my story of my best friend and sister named Jessica BlackColt. Jessica is my best friend and sister. We always make jokes we laugh and we stick together. She's always there when I need Her. She is always at my side. I love Jessica more than any sister I have because she's special. She always brings me along in her adventures. We always have fun. She's my big sister and I'll always stick up for her like she always did for me. I will love her no matter what. I love Jessica and she will always no matter what be my Best Friend and Sister! THE END. Once there was two sisters and they did get along all the time. Their mom asked them to knit a pillow that said "Best Friends." When they knitted it they had so much fun doing it that they didn't even know they were sisters. They thought they were best friends. They held up the pillow and it said Best Friends. Emma PrettyHeart got an eggling. She decided that it was going to be a unicorn. But right before it was in the Eggulator it had to rest. So she put it in the Eggling Crates. The eggling woke up too soon. Emma was nowhere in sight! The eggling jumped out of the eggling crates and looked for her. Meanwhile, Emma was going to take the eggling to the Eggulator but the eggling was gone! Emma was scared. She thought someone had stolen her eggling! Then she found her little lost eggling and put it in the eggulator. One day there was a girl with short hair. Everybody's hair was long. She did not like her short hair and wanted long hair. The other girls envied her short hair because they were very hot in the summer time. Then she found out that having short hair was the best thing of all. The end. Ashley Wolf and Zoe Fox were in a talent show. They decided to sing together. They both practiced and auditioned to be in it. Then the day finally came. Zoe said to Ashley "Are you scared?" Ashley said, "Yes I am scared, how about you?" Zoe said "Yes." Then the teacher called them up. Zoe and Ashley sang their beautiful song. Everybody clapped and cheered. Zoe said "I guess practice makes perfect." Ashley nodded happily. They waited for the first prize. And the teacher called Zoe and Ashley! Zoe and Ashley walked up to the stage proudly and smiled at the crowd of parents, students, and kids. They were so happy they became a band around Jumpstart. They were happy and rich and proud they were best friends. The End. In a kingdom far far away, there was a princess that was young and likes fashion. One day she left the castle and went to her buddy's house. She went and got a spell. And then she turned into a kitty! So she went out into the forest and went into the cave. There was a reverse spell. She used the spell and she was normal again! And last of all they had a tea party! The end! Once there was a girl named Elizabeth. she was a traveling spy. one morning she looked at her misson's on her pda. " Hmm it looks like there's a missing pet in europe!." Elizabeth dressed in her spy clothes and packed a suitcase and got on the nearest train. the morning breeze flew into the air and it smelled like italy. Elizabeth talked to the owner of the pet and started looking. "Hmm it seems like the dog was last seen on a boat going to the alps" Elizabeth got on a boat and went to find the dog. Elizabeth heard a wimper from the outer cornor of Paris. " It must be the dog" said elizabeth. she saw the dog and she was paddling along.Elizabeth held the dog and went back to the owner. " Thank you Elizabeth!" said the owner. " sure but i suggest you give the dog a nice bath." Elizabeth said. "hmm i guess everyone can be a hero." THE END. Dan was the new kid at school. His best friend Fred was giving him a tour of the school. Dan noticed two kids looking at a notice board. "Can we see what's over there?" Dan asked "Sure!" said Fred "That's where you sign up for a sport." Dan and Fred both signed up for soccer. At their first game they both got a goal that won the game! "This is going to be a great year!" Dan said. Dan and Fred had the best school years of their lives at Pine Oak Highschool. Welcome to Jumpstart apartments! Brianna the "doorgirl" here! JS Apartments is wonderful apartment building, just like your house! You can even walk through the halls to any Jumpee's place, not just online friends! The apartments are also filled with secret rooms to decorate! Look out for somebodys name on the doors in the secret floor! You can add doors in your second room, JS apartments also have relaxing memory foam beds your jumpee can actually lay down on! You will experience all this and more at Jumpstart apartments! Move in today for free! You can keep your house, too, for more decorating fun! Be sure to move into here, we've reserved a room for you! Sincerly, Brianna Wonder Wolf: "Doorgirl"
Once upon a time there was a boy named Daniel. He lived by his self because his parents got captured by the dark dragon. Daniel one day he realized that he had to save his parents from the black dragon when he turned 9 years old. He wanted to save his parents. So he got his sharp sword and went to the black dragon's cave. So then the black dragon blowed fire out of his mouth and Daniel went somewhere to hide so that he won't get killed by the fire. So when the black dragon came out Daniel cut the dragon's head and the dragon died and then Daniel rescued his parents from where the dragon had his parents and then the family lived happy forever. The end. One day, me and my class went on a field trip to Monterrey, my friend Eli stayed in the same motel as me. My mom, my sister, grandma, and me went on a walk. Then we saw the mirror maze, the place where you can go in a maze full of mirrors or you can go in a lazer room, my mom said we can go there the next day and so we did. We invited my friend Eli, his sister and his mom. First we went in the mirror maze, then we went in the lazer room, it was really really fun in that room then we went back to the motel. The end. Once upon a time there was a boy named anthony blue diamond. One day a dark chaos monster called dark punk_punk was trying to take over jumpstart. But anthony was clever he put them in the cage at the zoo for good. Jumpstart was safe until now, he needed help with another threat. Find anthony blue diamond and go on an adventrue of the curse of jumpstart. The end. PS find me at the zoo. 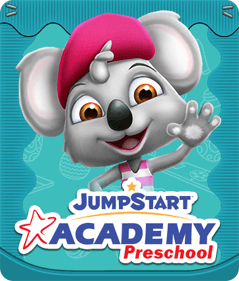 In jumpstart you can have so much fun learning and also have so much fun playing! You can play with friends, invite them to your house, and even chat with them! In jumpstart, you can find new things, adventure around adventure land, and save the people in adventure land by finding out the punk punks secret place. Jumpstart is great! On january 5th I went through a mystery tent. I launched. On the second time I thought "It would be fun if I landed on top of the winter wonderland entrance" so I did it! So when i landed I thought of sending a story to J Tube and I did. But this story is actually real. Hope you have a wonderful day Jumpee! Once there lived a mythie who had a best best best friend named little swan. She was always playful when sparkle swan was. They played and even traveleld together ever since spakle swan was an eggling, those two were a pair. They were togther forever. The end. One day Molly's parents told her that they were moving to a new home in Windy Hollows. Molly was happy, but sad at the same time. She was happy because she would have new friends, but she was sad because she would miss her old friends. But then her mom told her not to be sad because she could always visit them whenever she wanted to see them. Molly cheered up and she was even more happy when her mom told her that they had two floors in their house! Her dad told her that she was going to learn to become a witch and Molly was even more excited! Molly had school the next day. She was the smartest person in her class. She was so smart that her teacher made her become a witch right away! Molly ran home to tell her parents that she became a witch. Her parents were so proud they made her favorite dinner and desert. Then molly watched TV, played with her dolls, got dressed for bed, brushed teeth, washed her hands and face, and then went to bed. Molly and her parents lived happily in Windy Hollows! Once there was a girl who was on the Beach at Jumpstart. She found a secret magic slide and decided to ride it down into the water. When she could see clearly enough, there was a cat mermaid right in front of her. The mermaid said, "Welcome to Aquadia." Just when the girl was about to ask the mermaid cat a question, the mermaid was gone. The girl said, "Might as well make the best of it!" While she was in Aquadia, she met new friends along the way, adopted a new clothing style, and even learned how to be greatful for what you have and not want everything else. The mermaid cat was proud of her. So proud of her, that she even made the girl a mermaid! She was overjoyed! "Thank you!" The girl said. But then, with three blinks, the girl was back home in her neighborhood. Just to make sure she wasn't dreaming, she dove into her pool. She was still a beautiful mermaid! She then knew, that she wasn't dreaming! The End. Once there was an Eagle called Evie. Evie was born in a nest high above on the side of a mountain. She was a little chick and she relied on her mother to give her food. time passed and it was finally the day to start flying. Evie's mother showed her how. Her mom spread out her wings and flew! But Evie refused to fly. For weeks she refused to do it . Evie eventually grew into an adult, but still she could not fly. One day her mother went out and her dad came into the nest and said, "You know Evie. You really should learn how to fly." Evie refused. "Evie you have to try. I will fly under you if you need me to catch you." Said Evie's dad. Evie started to change her mind about flying. Her mother came back into the nest. Evie was standing on the side of the nest and saying, "Come on Evie, you can do this." Then, her mother did something very,very sneaky. She tickled Evie and Evie jumped right off the nest into the air! "Im flying!" She said. Evie looked down and saw her dad fliying right under her. Her parents were so proud and Evie finally could fly! Once there was a loin. He was very scrawny even though he ate six meals day! But the six meals weren't very nutritious. One day, the other animals decided to have him over for dinner regularly. They wanted to give him healthy soup every day. The tawny scrawny lion came to dinner every night and was able to not be so scrawny! He ended up having a beautiful sleek coat too because of all the nutritious soup he was eating thanks to all of his animal friends! Yesterday in JumpStart, I was playing with my friends in Science Land when I saw the legendary Anna Wolf! She is a mummy and I was the first one to see her! I knew everything about her and it's hard to find her because she is very sly. She runs and hides from everyone before they are able to see her, but I was able to find her and got to ask her questions! She is very good at escaping before she is seen and that is why she is so legendary! One day, Kelly went on a camping trip. She asked her mom if she could go out to the woods. When she was there, Kelly heard music, coming from a tree! Suddenly, Kelly saw everything grow when, really, she was shrinking! She saw a hole in the tree and went inside. She saw a whole lot of people, with wings! When she got into the crowd, Kelly bumped into a girl with purple hair and pink eyes. ''Hi! '', said the girl. "I'm Lulilla and I'm a fairy. Can you keep a secret?'' Said the girl. Kelly said yes and the fairy turned Kelly normal size again. The fairy said to come back and visit whenever Kelly liked and she did. Kelly kept the fairy secret! Amber Fox and Sophia Black Meadow decided to have a broom battle. Amber was on the Dragons team and Sophia was on the Unicorns. "Let's begin! "Said Sophia. Amber shot up into the air, fast as a speeding bullet, she grabbed a red ball and headed for Sophia's hoop. Suddenly, she ran into books, and spiraled away from the hoop. She regained her balance, only to see that Sophia had used a spell to put those books there! "You fell for the old Bookarumus spell!" Said Sophia as she laughed hysterically, nearly falling off her broom. Amber saw Sophia heading for her hoop with a ball and Amber decided to take action. She pulled out her wand and pointed it at Sophia. "Hocus Croackus!" The spell took its affect, and Sophia's broom fell to the ground. A frog hopped out from under Sophia's clothes. "This goes to show, that all is fair in broom and war!" Said Sophia. They both said good game and when the spell wore off, the two friends flew back to their neighborhoods. THE END. One day, I was swimming in the beach with my friend, Angel. Angel told me my hair was getting pink! Which was weird because I never went to my Jumpee Editor and made my hair pink! Suddenly, a pink and sparkly dolphin popped up in the water. "Sorry I didn't mean to splash you, Laura. "The dolphin said. "What's your name? "I asked. "Zuma. "She said. She told me that mermaids get colorful hair. When I swam in the water, my caramel, orange-like wavy and long hair turned pink but the texture and length didn't change. I quickly went to change my appearance but when I tried it wouldn't come off! I jumped into the ocean to get a new color for my tail. I wanted my tail green with blue-green swirls and it changed to that color! I am so happy with my new swim tail!!! I know all about the Ice Age! I read about it in a book. Here are some facts: The Wooly Mammoth was a big ice age animal! The Saber tooth Cat was a fierce predator of the ice age. The weirdest Ice Age animal was the GLIPTODON. It looked like a beaver. Some of the Ice Age animals survived, like a type of Ice Age dog. There are lots of stuff you can learn about the Ice Age. Just look it up for more fun facts! Spring is full of glorious surprises and very pretty sunrises. Spring is full bee-buzz, and falling dandelion fuzz. Spring is full of colorful flowers and full of wet April showers. Spring is so great, and totally not full of hate! I LOVE SPRING! Once there was this girl named Alissa. Alissa liked to ask for stuff. She would type to her teacher about what she wanted to have in the classroom. One day Alissa asked to be the teacher. The next day she entered the room and had to be the teacher! But it was hard. She had to teach the class, but didn't know how. She didn't know when to bring them to lunch! That night, she asked the teacher if she can be a student again. The next day she was learning not teaching and she was happy! Once upon a time, there was a girl, named Mallory. Mallory had very, very, very curly hair and she HATED it. It was always in the way, and it wasn't the style then. She tried, and tried, and TRIED to straighten her hair, but it just wouldn't let her! At school, all the girls had straight hair. Mallory was very frustrated that she could do nothing with her hair. That night, at dinner, Mallory told her mom how much she did not like her curly hair. But her mother told Mallory that her hair was unique and that every girl would love to have hair like hers. But It sure didn't seem like it to Mallory. "It just isn't fair!" She told her mother. But before Mallory went to bed that night, she thought to herself, "I guess my mother is right. I'll love my hair the way it is." The next day at school, Mallory saw that wherever she looked around, every girl was looking at her hair as if they loved it! Everyone ended up loving her hair. One day a girl named Annie Winterheart went into JumpStart's Times Square. She loved the activity Air Penguin. She did it 5 times before she got stuck on a building. "Help!" She screamed. But nobody heard her. Or so it seemed. A snowy owl heard her cries. The snowy owl was very kind and helped Annie down. "Thank you." She said to the owl. "You're welcome." The owl replied. Annie and the owl became BFF's and flew all over Jumpstart. Once, there was a Jumpee named Sarah. She had a secret, but she shared it to no one. NOT EVEN HER FRIENDS. She was too scared to tell, so instead she never did. Her secret was that she was afraid of going into the deep water at the beach. But one day, her class went on a field trip to THE BEACH. When they got there, they went into the water. But the only person who didn't go in was Sarah. The teacher asked Sarah, "Why aren't you going in?" Sarah shugged. "Umm..." Said Sarah. "Come on!" Shouted the kids. Sarah still didn't go in. Then Sarah said,"Fine!" She jumped in and gave it a try. And she did it! Everyone cheered. After all it wasn't so bad. She smiled as she swam. She swam and never gave up. She had so much fun and she wasn't scared ANYMORE! "So this is why you should try news things Sarah." Said one of her friends. Sarah said,"You know what? I think you are right." So as they played, THEY ALL HAD FUN. THE END. If you want to make a friend, you have to be nice to people so they will trust you. You can give things to people, play with them when they are lonely, or you can say nice things to them. They will want to be your friend after that. Sometimes you have to try harder than talking, giving presents, or playing, but soon enough, you will have a friend. Then u can have fun all you want with your friend. If you follow these rules over and over again, you might get a lot of friends, a lot of presents, fun, and you will have to give a lot of presents too! Good luck with your friends! Courtney couldn't wait for her birthday party! She was inviting all of her friends. She bought all the latest furniture and clothes to get ready. When all her friends arrived, they started with a dance party. Then, they went and swam in her pool. Next, they tried out all of her fun zones. Soon, they ate cake and opened presents. When she said goodbye to all of her friends, she was sad to see them go, but glad that she had the best birthday ever! "One day, I was squashing Shadow Punks in Posidon's Hangout when I realized there were none left! I had squashed them all! Posidon's Hangout was all out of Shadow Punks so I thought that playing Shipwreck Lagoon would allow them to come back. When I came back after a race, some of the Shadow Punks had reappeared. Posidon's Hangout no longer had a shortage of Shadow Punks so I was able to go back to squashing! Which made my day in JumpStart even better!" New Years Eve is the perfect day to be with family. This New Years I was with my parents and my brother. We played games like Chess and had a big dinner! Their was ham, pie, corn and more. It was really fun to be with my family because I haven't seen my brother in a while. We played with my brother's dog! It was a new years nobody could ever forget! Happy New Years! Green grass everywhere. Beautiful flowers in the air. Saw insects flying down. Needing help from beautiful ground. Birds singing up in air. Bees going round and round. Oh what a wonderful world. But people crushing plants. With wrappings and plastics. Please don't hurt the world. Plant a tree to save the world. Plant a flower to heal the world! Hi, my name is Avery. And I love to dance.There are all types of dance. My favroite is tap. You need lots and lots of practite to be a good tap dancer. First you need to get used to your tap shoes. Maybe you should dance a little yourself, but dont worry if people start to look at you weird. As I always say keep dancing! Tap may seem very hard at fiirst, but along the road, you will learn new steps and new techniques! The thing I love about tap is the sound it has. Tap shoes are just like little drums stuck to your feet. Well that is all for now, so go and dance! Once upon a time in JumpStart, a girl named Emma Swan was riding her skateboard when she looked down for one second and bumped into a girl named Faith Swan. When they looked up and saw each other and they were looking at their twin!!! They found out that they were long lost sisters. Since then, they did everything together like swimming, roller bladeing, and shopping. They grew up together, made lots and lots of friends and lived happily ever after. One day, a girl named Alexandra PinkJewel was picking flowers. She kept her eyes peeled for the rare golden flower that never dies or breaks. It gives you three wishes. Then Alexandra tripped on a stone. "Oww," she said, then in front of her she saw a four leaf clover! Right then she picked it up and said, "I want to find the rare golden flower, that no one has ever seen before." Right then, she started to float and in her hand was the flower! She ran off and handed her four leaf clover to her best friend Vanessa Bear. When Vanessa grabbed onto it, she wished for a car. "Uh... bear, your too young to drive!" Alexandria shouted. But it was too late, she was out the door. She took a break from the crazy clover issue and watched TV. On TV was Vanessa and her cousin holding the four leaf clover and the rare golden flower! " The flower!" Shouted Alexandra. She took out her flower basket and wished on her flower three times. One of the wishes was for her flower to be famous! It was a sunny summer day in Mainstreet when Taylor Swiftpuppy's friend came to play. Taylor followed her to a snowy land then all of a sudden they glitched out of JumpStart! Taylor's friend tried to get back in but she couldn't. Taylor got her bouncy ball, went to a corner and bounced over the top of a rock. BOOM! She entered The Old Days of JumpStart! She had played there before until the passageway closed off to make way for the new JumpStart. It was always snowing here and Taylor wanted to go home. She went through the Old Tunnel Of Snow and came back to the new JumpStart. Taylor had no idea that once she logged on, she appeared in Madagascar where she could go into the Mummy's Maze. She got stuck outside of the maze, inside the eyeball on top. Her friend invited her to come along with her so Taylor did. " Ahh Back in ol'town of J.S., " said Taylor. Wonderful! Taylor and her friend were back in the old JumpStart and still claim it as their favorite place in the JumpStart World! Once there was a kitten named Lily. One day, as Lily was on her way home from school, she saw that her neighborhood store sells strawberry seeds. She ran home as fast as she could and asked her mom, "I found a strawberry seed! Can we please bring it home so we can plant it?" "Okay, let’s go," her mom said. They went to the store and bought the strawberry seed. "Can we plant it now please?" Lily asked her mother. "Wait till we get home, Lily." When they got home, Lily’s mom got out the shovels and a watering can, and showed Lily how to plant a seed. “First, dig a hole. Then, put the seed in it, and cover it with dirt,” said Lily’s mom. Lily’s mom also showed her how to water the strawberry to help it grow. The next day, Lily got up early and saw a big strawberry in their garden! Once upon a time, in a faraway land, was a hidden garden. It was a magic garden filled with wonders and mysteries. The flowers here bloom at least 10 feet tall and the leaves never falls. The most precious thing here was a magical mango tree that grows at the center of the garden. This beautiful tree helps keep all the living plants and creatures in the garden balanced and peaceful. But one day, someone went into the garden and cut down the mango tree and took all the mangos. The whole garden was destroyed. Luckily, the stump of the mango tree remains and it grew back into the massive tree, and the magical garden was restored as well. The End. My favorite cousin is Destiny. I love to play with her. She has light brown curly hair and blue eyes. Sometimes, she likes to play with my three-years-old sister, who loves to make a big mess at home. During the hot summer months, we love to go outside and play all day. We play tag, or just play on the swings. When it is cold, we stay inside and watch TV or play board games. I love my cousin! I love art! Mural team is a group of talented kids who draw characters and figures they find in books or comics onto the walls at school. It is so much fun! I am the only one who is drawing Biscuit! How cool is that? I also love doing self-portraits and portraits of my friends, it’s really fun! So this is the story about how I love art and how I got onto mural team. The End! There was once a woman, who loved to collect brooms. One day, her house caught on fire. All her brooms turned to dust, except one. The only broom that she could keep was an ordinary house broom that had no flying abilities. The woman was really upset and she planned to trade it for a magical broom, but the house broom begged her and promised, "I will learn how to fly." Learning how to fly was not easy but the broom practiced and worked really hard. Eventually it learned how to fly and the woman kept it with her. On Savannah's last day of school, kids all gathered to do something really fun together. They made cards for Savannah and they all said that they will visit her! Before her last class, the whole school went to the gym to sing songs and Lily, Savannah's best friend, and Savannah, sang and danced together. When school was over, they said their goodbyes and Savannah went onto her school bus. When she got to her new house, she noticed that her neighbor looks very familiar. She then realized that it was Lily! Savannah ran over to Lily and hugged her. Savannah is so glad that she gets to go to her new school with Lily! A girl named Chloe invited to her friend's to a winter party but she doesn't know what to wear. She had a purple dress with ruffles from the waist down and a gold sequin dress. Her friend, Carmen, has great taste in style. She told Chloe that she should wear the gold dress because it will look great with her beautiful green eyes. She tried it on and she looked amazing. Chloe can't wait for this year's Christmas! Birds were chirping and people were having fun, except Little Miss Lucy. She usually spent her time reading and doing homework. One day, her best friend, Lily, came over to play with her. After a few fun games, Little Miss Lucy thought to herself, "Why do I always stay in and work?" She asked her mother if she could go outside. Her mother said yes. Little Miss Lucy was having so much fun exploring the world! She went to the Beach, Windy Hollows, and Mainstreet. When it was time to go home, Little Miss Lucy was so tired and she fell asleep very early, dreaming of an adventurous tomorrow. Once, in a faraway land, lived a girl named Ella. She had winter power that allows her to create snow from air, snow flakes from water, and frost from clouds. All her power came from her magical wand. One morning, when she woke up, she found that her wand was missing! She went through her room to search for it but she couldn't find it anywhere. Feeling desperate, she woke her pet up. Howler, a snow wolf, led her to the stables outside her house, where the reindeers live. But she still couldn't find her wand there. She was really sad. Howler told her that she needs to eat something so that she has energy to find her wand. So she picked up her spoon and suddenly, the spoon turns back to her wand! Turns out she accidentally used magic to turn her wand into a spoon. Once, there was a princess named Bella. She was 15 years old. "I'm bored," she said to her father, "Can we go on a trip?" "Of course," said her father, "Where do you want to go?" "How about the Aquamarine Valley?" The princess suggested. "Great idea! Go pack your bags and I'll call your brother," said the king. The princess packed quickly. When they reached the boats, they saw pirates. The men fought the pirates bravely. But then suddenly, a pirate came out of nowhere and injured the princess's brother. She wanted to avenge him so she grabbed a sword and defeated the pirates. She healed her brother and they all have a royal party honoring the princess's braveness. There was once a tiger with three tails, and hunters were planning to hunt it down and sell it at the market since it's such a rare tiger. The tiger heard the news and he was very worried. So the tiger thought of a plan. When the hunters came and cornered the tiger, the smart tiger twisted his tails and jumped off a cliff. Tiger was flying, which surprised the hunters. They tried shooting it, but they only made the tiger angrier. At the bottom of the cliff is a scorching hot pool of lava. The tiger fell in but instead of dying, it gained the power of fire. The hunters got really scared and begged the tiger to forgive them. The tiger said he will forgive them but they must swear to protect the forest because he is the Guardian of Nature. Once there was a lion. His name was Zion. He wondered in the woods. To find some food if he could. But he accedently steped on a mouse. And his small house. The lion appoligized asking for a name. "My name is Miskit! ",He claimed. "The names Zion! "said the friendly lion. Eventually, the two non-alike animals quickly became friends! Miskit said,"Lets be friends until the end." There was once a happy mermaid that enjoyed her life in the sea. But one day, some bad guys captured her, took her away from her home, and put her in the Tiki Pool. She wanted to go home and be with her friends and family. A nice Jumpee brought her back to the sea and set her free. When the mermaid got home, she told her family and friends everything. The Jumpee wanted to see if the mermaid got home safely so she went to the beach. The mermaid and her friends were waiting for her. The Jumpee was very excited to make new friends with mermaids! Once upon a time, in a far away land, there was a girl named Kem. She was a dreamer and an enchanting girl. With a flick of her magic wand, she can make anything come to live. It is also a very powerful magic wand that made all wishes come true. One day, while Kem was watching the clouds, an evil witch doctor stole her wand! Kem was sad and wanted it back. She started searching for her wand. While she was searching, she came across a deep, dark, and creepy forest. She was afraid to go into the forest, but she needs to be brave. She saw the witch doctor holding her wand, so she quickly snatched it away and turned the witch doctor into dust. I was at the beach one day, when suddenly, I was attacked by a wild goose who I thought wanted a hug from me. But then I realize that the goose is actually after my sandwich. As the goose was eating my sandwich, I took out my art bag and started painting the goose pink and purple, and I also put a bow on its head. After the goose finished eating, he wandered off to the pond and washed off all the paint! I was a little sad but decided to dress the goose up in a pirate costume. He looked nice. And then I went home. One day, when my brother was picking flowers in the garden, a pony suddenly appeared! So he hopped onto it and soared through the skies and arrived where the rainbow ends. There, he saw many fascinating creatures, like the elves, fairies, magicians, and mythies. He came back to bring me there! And together, we soared above the clouds. But suddenly, the pony disappeared while we were still in the sky and we fell and landed in a deserted land. The branches on the trees are bare and the lake's color is muddy and green. We sensed the danger so we ran and ran, until we saw a glimpse of golden light in the distance. The light is the entrance to a beautiful peaceful land that my brother visited before. Turns out my brother's pony is a newbie and he got lost on the way. But it's okay because we are safe now! On a bright sunny morning, I was hanging out on the porch in front of my house. Suddenly, my neighbor's house started to go up in fire! And I saw a HUGE dragon spitting fire at all the houses in the neighborhood. I was so scared and I don't know what to do. All I could think of was that I need to save my friends and my pet cat. Magically, my hands started to feel very warm and it started shooting fireballs at the dragon! The dragon got scared so it flew away. Now I have this strange new power!" A little monkey loved to swing on an old oak tree. This monkey told his brother to climb the tree and swing on it together with him. The monkeys played together and have so much fun teasing each other. Until, the mama monkey came and said that the monkeys should come down and let their friends onto the tree as well. So a third monkey joined them and then a forth monkey came and play. Night time came, so mama monkey brought all the monkeys home to take a bath and brush their teeth. All the monkeys fell asleep, except one. This little monkey just looked at the old oak tree and hope that tomorrow will come sooner. A girl named Lilian lived in New York. She planned to invite her buddies Brianna, Alyssa, Lindsay, Jessica, and Christine to sleepover. They played games together, sang songs, baked brownies, and watched a scary movie. It was getting late so they all went to sleep. They had an excellent and happy sleepover. Goodnight! A boy named Jack lived on top of a high mountain. He was walking in the snow to find some woods for his campfire when he saw a snow leopard. This snow leopard was really gentle and cute, and her name was Anya. She loved to run around. Jack really liked Anya, so he asked her "Can I keep you?" She hugged him really tight so that means yes. So they both lived in a cave on the mountain and enjoyed their time together. On a fine day, Carl the fox was enjoying a delicious ham and cheese sandwiches for lunch, when he noticed that his friends, Kitty the cat and Fred the dog, was heading towards the old clubhouse. Carl was really curious so he put down his sandwich and walked towards the clubhouse. But his friend Kitty stopped him. "I'm sorry Carl," Kitty said, "but you cannot go in there right now." Carl looked sad. He decided to go visit his friend, Mr. Owl. Mr. Owl lived in a tree house on the other side of the forest. When he knocked on the door, there was no answer. Carl got really upset, so he made his way back to the clubhouse and went inside. Everything was pitch black. He found the switch and flipped it on, and everyone shouted, "Surprise! Happy Birthday, Carl!" A girl named Greenlee went swimming by the beach one day, when something suddenly grabbed her ankle and pulls her down to the bottom of the ocean. But then she realized that she could breathe! She found that it was the dolphins that caught her and they were swimming very fast. After a while, they reached Dolphin Land, where it was filled with dolphins and fish. Greenlee had so much fun swimming with the dolphins and learning about the underwater life that she fell asleep at night. So the dolphins carried her home gently. Before Windy Hollows became a popular magical land, it used to be called Windy Falls, because water fell from floating islands. There was an evil queen called Persilla, who rules this piece of land but no one likes her. Everyone wished she will leave and never come back. One day, a Jumpee accidentally stumbled into this enchanted land. The mayor of Windy Falls gave the Jumpee a magic wand and an enchanted broom, and asked if the Jumpee can defeat Persilla and save the whole town. The Jumpee agreed and defeated Persilla, and renamed Windy Falls to Windy Hollows. Today, Persilla's spirit is still trapped in Windy Hollows. Now, she tells fortune at the fire pit. Once upon a time, there was a gold unicorn named Golden. She lived in the Enchanted Forest. The Enchanted Forest had lots of unicorns, dragons, and fairies. But one day, Golden saw a Shadow punk-punk. It escaped from the dark side of the forest to seek revenge. Golden used her magic to turn the Shadow Punk into a gold statue. Everyone cheered for her. Golden was glad that she saved the day! Once upon a time, there was a beautiful fairy princess. Her name was Rosy. Rosy had long blonde hair and sparkling blue eyes. She always wears the color blue because it’s her favorite color. Rosy was the nicest fairy in her kingdom! She loved helping people and everyone worships her like a super hero! One day, someone yelled, "Rosy, help me!" So she flew as fast as her little wings could take her. She found that her kingdom was being attacked by a big dragon! She then thought of a plan. She set up a trap and led the monster into it! The trap is a net made from tying ropes together. When the monster jumped into the trap, all the fairies pulled the net and the monster is trapped! Rosy saves the day again! One day, I found a legendary time machine named the Great Time Machine. I told my Mythie, Twinkle Jewel, and my cat, Diva Queen, to wait for me by the time machine while I grab some equipment and some snacks for them. But while my Mythie and my cat were playing with each other, they accidentally pushed the levers on the time machine. The machine automatically sets itself to the date and time when I released Twinkle Jewel! I ran to the time machine, but it was already too late. Twinkle Jewel was gone. I have to save her, so I went on the time machine and was teleported to the same time. I searched the woods and the lake but there was no sign of her. Then, I looked up to the sky, and she saw her flying. I got hold of her, boarded the time machine, and brought her back to the present date. I will never think of traveling through time again because the present is much more fun than the future and the past! A long time ago, punk punks were kind and helpful creatures. But one day, a sorcerer from Windy Hollows thought that he can make the punk punks even nicer, so he asked if one of the punk punks is willing to try a new potion he made. The punk punk was a little puzzled, and asked the sorcerer, “Why?” The wizard answered by saying, “So I can make you nicer.'' The punk punk really wanted to be nice to the Jumpeez so he said yes and took the potion. But the wizard gave the punk punk the wrong potion and turned the punk punk evil. So the punk punk stole the potion from the wizard and told the other punk punks to drink the evil potion as well. The wizard used his spells to cast the punk punks away to an unknown island and under the water. Today that island is AdventureLand and that underwater place is MarineLand. Once upon a time, there was a little girl named Emily. One day, while Emily was taking a walk in MainStreet, a boy ran past her and said, “something terrible has happened in the Enchanted Sanctuary!" Emily whistled and her horn beautiful Howlie landed right in front of her. She got on its back and flew to the magical land to see what is going on. When she got there, she found a possessed dragon spitting fire and burning everything in the sanctuary! But Emily was not afraid, because it was one of her dragons. She flew over to the dragon and sang a graceful song that lifted the curse. Emily saved the Enchanted Sanctuary and she became a JumpStart HERO! One day, Hailey and Jasmine were playing tag in their courtyard when they heard a weak noise that sounded like “meow meow meow.” They look down and saw a kitten! But the little kitten did not have a collar. So the two little girls said, “Let’s look for clues to help this poor kitten get home!” They went to their neighborhood’s park where they saw a pink collar by a bush. This collar had to be the little kitten’s because the color and pattern looks exactly the same as the bow on her head. So they put the collar onto the kitten and the name tag on the collar reads: “Miss Kitty. If found, return to Anna.” Anna is their friend who lives just down the block, so they rushed to her house and returned Miss Kitty to her. Anna was so happy she gave both Hailey and Jasmine a big hug! Once upon a time, a girl named Zoe was a crew on a pirate ship. One day, the captain of the ship ordered his crew to force Zoe to walk the plank so she will fall into the ocean. Her friend, Zac, told her to jump into the ocean where the water is shallow and swim to the shore before she was captured. Zoe did not know how to swim but the mermaids helped her and brought her to the nearest island. When she started to explore the island, she tripped and fell into a deep hole that had no exit but just a little fire pit. She screamed but no one came to rescue her. After what felt like weeks, Zoe's friend, Zac, finally found the hole. He saved her and brought her back to JumpStart, where they are safe from pirates and started a whole new adventure together. Logan is a puppy. She loves to sing her favorite song, "Puppies Like to have Fun". She lives in New York. Her dream is to perform on Broadway shows. Her sister, Ashley, told Logan to practice hard and never give up on her dreams. So Logan begged her parents to let her stay in school so she can practice singing and dancing, and in the future, become a Broadway artist. She practiced very hard every day. Her parents got very touched so they eventually agreed. After a few years, Logan is a grown dog now, and she is a Broadway artist. Today, Heather woke up at 7:35am as usual. She was a little surprised because her parents will usually wake her up for breakfast, but now they aren’t here. She got a little worried so she called their mobile phones. But the phone is ringing from the inside of the house. When we came to her parents’ room, her parents were there and they told her to call the ambulance right now, because her mom is having a baby! They rushed to the hospital and everybody was there. The baby’s name is Amber. She is so cute! This is Heather’s best day of her life! There was a girl who had brown hair and blue eyes, and her name was Emma. One day, she tripped and fell into a hole! When she woke up, she found that she was sitting at a lunch table with giant animals. A servant girl came by Emma’s side and asked her what she would like for lunch. Emma was very confused, so she asked the servant, “Where am I?” The servant answered, “Welcome to the Video Game Palace! This is where all the video games are stored.” Emma is very interested in this fascinating land, so she asked “Why are there so many giant animals here?” The servant girl said, “You are in My Little Pet Shop.” “How do I get out of here?” Emma asked. “You will need to get a star from Mario Galaxy, and it should bring you home!” So Emma completed Mario galaxy, collected the star at the end of the game, and suddenly, she fell into a tunnel! When she woke up, she is back at home. One day, Chester, the bunny, and his family moved to Bunnyville. His old town was Rabbit City. Chester is very quiet and he is worried that the people who live in Bunnywille might not like him and might not want to be his friend. When his family arrived in Bunnyville, Chester saw his house for the first time. It was an average looking house, with a brown roof and blue windows. The brick wall is covered with pink paint. When he went inside the house to put his bags down, he saw a mouse hole. A little mouse came out of the hole. Chester heard another mouse saying, "Leo, get back in here!" But the little mouse ignored the voice. "Hi, I'm Chester." Chester said carefully. "I'm Leo!" The little mouse said. Soon they became really good friends and they even go to the school together every morning! When I was walking in the forest, I was skipping on the sidewalk, but I didn't know someone was following me. It tripped on a stick and made a loud “Ouch!” sound. But I didn’t hear it, until the person got up and got closer to me, and I saw him! He was my puppy! Even though he startled me, we skipped along the sidewalk all the way home. The End. The rabbit and the turtle decided to race. After half a mile, the rabbit thought it is the time to have a rest because he the turtle far, far behind him. However, the turtle did not stop and kept going slowly but surely. When the rabbit woke up after a few hours, the turtle had already reached the finish line, winning the race. The service station's business is slow today. The owner was sitting around, holding a sharpened knife and a cedar stick. There are piled shavings all over the ground. No modern facilities can be found in this gas station. Logs across the rill leads to a shack, where it is marked "His" and "Hers". A customer came in and asked, "Where is the ladies restroom, sir?" The owner leaned back on his chair, but did not say a word. He whistled a tune and nodded his head towards the direction of the shack. The female customer quickened her steps, but she only stayed in there for a minute before she screamed. There is a snake and spiders in the restroom. Startled and obviously angry, she head back to her car where three other girls were waiting for her. She got into her car, stepped on the gas pedal hard, and faded into the dust distance. I was walking through a beautiful forest on a Sunday afternoon, when a horrible snort sounded in the bushes on my right. I swirled and came face to face with an enormous hairy boar with two red eyes and long bloodied tusks. I couldn't move. But when the boar charged I managed to move my feet and run. Through the bushes, over the rocks, leaping over the ditches -- I don't remember because panic had shut down my mind. Blind with that terror, I ran straight into a small canyon and stopped at the base of a cliff. I could hear the beast's snorting behind me and I knew that my back would be pierced by those tusks. When I spun around to face it, the boar slid to a glaring stop, a ferocious sight that turned me to ice. It grunted once and charged, and I lost my mind to fear. I screamed and threw myself directly at the beast. Finally, after a long struggle, the boar turned and fled. Last Saturday, I went to a fair called Midway Magic. It was so much fun! Especially, I got to spend time with my two great cousins. When we got there, we had no clue what ride to go on first! There were so many! So we just went with the first ride we saw, the Crazy Caterpiller, which is a roller coaster! Then we went on another ride, called the Drop Zone. It slowly brings you up in the air and then drops you! And we also went on a haunted house ride. I got to say, my ears still hurts because my cousins would not stop screaming! But after the ride, we went for dinner and I was so happy because I was SO HUNGRY! We went out for dinner at Montannas and we all went home. One time, I came home from school and my dad was at the house. He told us the whole family, including me, my mom, my brother and sister, are going on a trip. Before we went to the cabins, we pack our things. We even packed our cat, Spots. After we settled into our cabin, we went out to go boating, swimming and fishing. I swam with my brother and sister, and when we were done, we went back to the cabin. My mom and dad said they have a present for us. "What is it?" we asked our parents. It was a new pet dog and his name is Buddy! Then we went fishing and we all caught fish. After that, we went boating and it was fun. I will never forget the fun times I had with my family. I even played with Buddy and Spots. It was so much fun! One blazing hot day, I was sitting under a tree and was reading an interesting tale. It was about a fairy flying around, inviting any Jumpee she sees to a legendary island. While I was sitting under the shady tree, this glittering fairy flew towards me. "Hello, my name is Serendipity! I'm here to take you to a magical place! Take my hand. We will be arriving very soon!" So I took Serendipity's hand and we set off to an unknown land. As soon as we got there, another fairy named Ivy told me everything about this unknown land. "Hello, Jumpee, I'm Ivy. Here, you can raise your own mythie! Mythies are magical creatures. 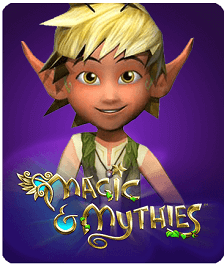 With your coins, you can buy toys, food, horns and color kits for your mythie!" After I picked out my mythie, I went over to the Eggulator and paint and hatch my mythical creature! I go a girl Pegasus! I bought her back to JumpStart and we had a great time on the island! Once, I had a dog named button. He was too cute! He was one of the fiercest and cutest dogs I ever had as my pets. I bathed him and took good care of him. One night, I was sleeping in my bed with my mum when I heard our sweet button barking outside. We went outside to check what the problem was. Then suddenly, we found ourselves in shock! Another dog was trying to attack a girl and my brave little button saved her. We are very proud of our button because we got such a cute and sweet dog. There once was a beautiful little baby. She was kind and sweet. But one day, an evil fairy saw the girl dancing and singing happily, and got very jealous. The evil fairy casted a spell on her and turned the little girl into an animal so she couldn’t dance or sing anymore. Luckily, the little girl’s friend, Cody, was a nice fairy. Cody casted a spell on the little girl and turned her back into a human again. To punish the evil fairy, Cody also casted a spell on the evil fairy and turned her into a worm. And Cody and the little girl both lived happily ever after. One day, a building in Mississippi collapsed, and a lot of people went missing but no one could figure out how many and who are trapped inside the fallen building. The people of the city asked a cat named Miguel to help them find their missing loved ones. Miguel accepted the offer to help and soon discovered that this is a task that only he can complete. Miguel was fast and small, so he was able to run through cracks and holes that a human cannot normally fit into. He eventually found a large crowd of people who were trapped inside the building and saved many lives. One Thursday night, my family and I went to the beach. When my brother and I went into the water, we felt something touching us. When we looked underwater, we saw a snapping turtle. It was so big, we got scared so we ran away to tell our parents. They didn't believe us, but then we showed them and they screamed and shouted! When the turtle was about to snap at us, he came on land but then got stuck there. So we called people to help save the turtle. When they finally got here, they noticed the turtle was hurt because its flipper was injured, so we took it to the vet to get it fixed. When the turtle was all better, we released it and then it lived happily ever after. The End. If there was one thing I'd like to do all day, it is creating art. My favorite thing to draw is flag. I have one of Italy, France and the UK. The really neat thing about the UK flag I created was the little fake roses I put on it. It looks really pretty. I also like to paint. Mostly trees and land, but I also created two parakeets (birds) before, a big bat and an owl. My favorite color is a really pretty shade of blue. I used that shade of blue on one of my parakeets with some white to make it bright! I use that color a lot in my paintings because I just love that color so much. I use it in almost all of my paintings. Today, I created a painting of an apple orchard. The bright blue sky, the lovely shades of green on the trees, and the brightly colored apples are looking good so far. I'm not quite done with the painting yet. It still needs a few more apples. Once upon a time, there was a beautiful princess named Annie. She lived in a huge castle in England. One day, her father finally came home from war. Annie's mother was very ill. She needed a Cailo Plant to cure this illness before dusk. Annie knew someone who knew all about cure – Arizona, her aunt. At noon, Annie went outside and ran off to Aunt Arizona's house. By the time she was there, Annie asked if she knew where to find the Cailo Plant. “Perhaps I do know,” said Arizona. “It's in the Sacred Meadow, where your mother always liked to lie in the grass and look at the clouds before you were born.” Annie knew where the Sacred Meadow was. “Thank you,” she said and quickly went off. She ran as fast as she could to the meadow. There it was, a Cailo Plant. She picked it up and ran all the way back home to quickly make the tea. When the tea cooled off, she went into her mother's room and gave her the tea. Her mother drank it and felt even better than before! One day I went fishing with my dad and my sister. We caught some fish. One of them was really big and it was really hard to catch. This is how I caught my fish. When my dad said it was time to go home I started winding up my rod. And when I was trying to wind it up, it was really hard to wind it. And as I was winding it up, I saw a fish. It was a crocker and that was the first time I caught a fish. And I would like to thank my dad and my sister for supporting me. The End. One day there was a Jumpee called Vanessa. She was new at JS. She saw new things, events, and new players from around the world. Some of them she added, but they weren't kind to her, so she was alone. She decided to make more friends, but they didn't care for her. One day she met a Jumpee called Savanah. She was kind and sweet to Vanessa. So together they talked about different things like their dreams and hobbies. And then Vanessa understood something: you don't need hundreds of friends, only one friend. She is your best friend forever and together you can help each other, play, and have more fun. 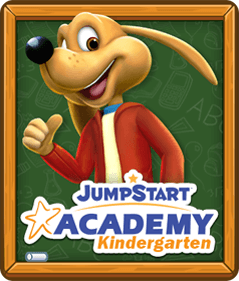 I was talking to my friends at school and all they ever talked about was JumpStart, and I was like how is JumpStart such a big deal. So one day I searched JumpStart and, from that moment on, I knew that I had just found my favorite website of all time. JumpStart is amazing because you can learn when all you think you’re doing is having a blast. Thank you JumpStart for being so amazing. I wondered why they called this game JumpStart, well I think it's because kids like to have fun. They jump and play hopskotch, tag, and hide and go seek Some people wondered what it would be like to have fun and go on adventures and JumpStart made that for kids of all ages to learn to write and read and have fun while learning math, reading, writing, and have LOTS of fun! JumpStart is good for everybody and everybody likes JumpStart the way it is because it's fun, so jump into JumpStart today! One day I logged onto JumpStart. When I first got on, it gave me ribbons and stars. I wondered why. So when I went to my home, I saw that my Mystery Box was gone! So I looked everywhere to see where it was. I wondered, maybe it's a prize! Or maybe it's a piece of clothing! So I looked in Windy Hollows, The Beach, Central Park, Poseidon's Hangout, Storyland, Math Blaster, Adventure Island, and Coney Island. The only place I didn't check yet was DownTown. So I looked everywhere there. When I started to lose hope, I turned around and I found The Garage. I said," I didn't look there yet!" So I looked in the Garage and there was a golden pirate ship parked there. So I got in a new car that took me to The Beach, Poseidon's Hangout, and Windy Hollows. When I got tired, I parked my car and I logged off and went asleep. I wondered if I'll ever have a day like this again. THE END! Once I went out with some friends at Coney Island. We played plenty of arcade games together and had a lot of fun. Then we went to the Enchanted Sanctuary and took care of our mythie eggs. My friend got to hatch hers, but mine can't yet. Then, we went to Central Park Zoo and took the train to Europe. 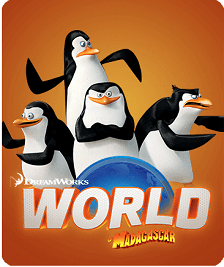 There we played the Rico's Hunt game and then went to the Penguins' Headquarters so we could become cool spies with lots of gadgets and potions to turn Jumpeez into fun filled animals. All in all, JumpStart is a wonderful, magical, fun adventure just waiting for you. Thanks to the JumpStart creators for giving us a chance to learn and have fun with friends. Bye everybody! In JumpStart you can find shops, stores, and parties galore. If you want to find ridez, just go to the Ridez store. You can change your clothes you and you can change your hair. Have fun in JumpStart and see you there! The screamer, oh yeah. Freak yourselves out! Ride and scream your head off! It is amazing, but watch the level you put or you'll come out real dizzy. It's at Posiedens Hangout. I just can't tell you how amazing it is! One day at school my friends and I were playing on the playground trying to have fun, but there was just so much trash. We decided to clean it all up. The next day we brought gloves and started to pick up the trash. We did it for the whole week and at the end the playground looked great. We did so well that our teacher told the principal about us and we were put in the school's announcements. We felt so great on the inside and every one could enjoy the play ground. Once I went out with some friends at Coney Island. Wwe played plenty of arcade games together and had a lot of fun. Then we went to the Enchanted Sanctuary and took care of our mythie eggs. My friend got to hatch hers, but mine can't yet. Then, we went to Central Park Zoo and took the train to Europe. There we played the Rico's Hunt game and then went to the Penguins' Headquarters so we could become cool spies with lots of gadgets and potions to turn Jumpeez into fun filled animals. All in all, JumpStart is a wonderful, magical, fun adventure just waiting for you. Thanks to the JumpStart creators for giving us a chance to learn and have fun with friends. Bye everybody! One day I was searching on the web and I found JumpStart. I went on the website and the second I saw it, I knew that I wanted to play it forever! Soon I had Mythies and tons of Petz and Ridez. Now JumpStart is growing and they have lots of new attractions. I know that anyone who tries JumpStart will love it a lot. You’re the best, JumpStart! The first time I played JumpStart was three years ago. My grades were going down inn math so my mom had me play to help me learn math faster. As I played games on JumpStart and completed levels, it helped me. My teacher said my grades were higher and I made Honor Roll! 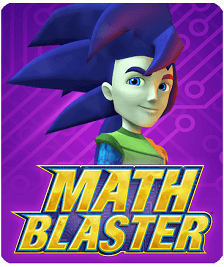 Jumpstart is an amazing game and it helped me so much with learning math and other subjects! Thank you so much, JumpStart! I love JumpStart! I heard about it from a friend and once I started to play it I loved it! I made so many new friends and had lots of fun playing games while learning! Once I started to do JumpStart my teacher said my grades went up! It is fun so fun because I can meet my friends online and play with them there too! Thank you soooo much JumpStart!! Austin Wolf was a boy with a special feature, he was an alien! He went to Threadz every month to buy a new tan skin. He says it is for his older sisters, but they were really for him. When it rained, his blue skin was revealed and the Jumpeez were terrified. One day and girl and her older brother, Sam, were walking and they saw Austin sitting with his head down. The girl, Claudia, lifted up his chin and saw his blue skin and knew he was the one. Austin put his head back down and didn't say a word. Claudia sat with him and showed him her pink skin with the same pattern. Austin knew she was the one. So they became the best of friends and lived happily ever after. I went to my friend's house to swim today. She has a dog named Roxy. Roxy kept jumping in the pool! She was swimming right toward me and I went underwater. I didn't go deep enough so she swam right over me! I was ok, but a little scratched. After we swam we went inside to watch TV. I am too exited for summer camp! It’s at a school that my little sister goes to. Every Monday, we do sports, art, experiments, and fun game clubs! Every Tuesday, we go to the beach for five hours! Every Wednesday we have competitions. One time, I even won a DS tournament! Every Thursday, we go on field trips. The best one is Sky High. And last... but not least... the shoe! No, no, definitely not the shoe. Ok on Fridays we have water play on the playground...its SUPER FUN!!! Summer is going to be AWESOME!!! When summer came to JumpStart the first thing that I wanted to do was go to MainStreet. When I got there, I went straight to the Tiki pool. Then I went on to the slide. First it twisted and turned, and then it went into the volcano. It was awesome! One time I was at Windy Hollows making a brand new potion. When I finished, one person that I was trying to cast on ran away from me as fast as she could, but I raced to where you get the broomsticks and flew all over Windy Hollows. I finally caught up to her on my broomstick and turned her into a peacock. She suddenly laughed and laughed and I also started laughing. She then turned back into a girl and, said that was really funny. She walked away and I walked toward her. I asked if she wanted to be my buddy and she said yes, I was about to ask you the same. And so as quick as possible she added me as a buddy. We became really good BFFs after that and we lived a happily good friendship. I had the best day with my Jumpee! We went swimming at the Tiki Pool over in the MainStreet FunZone. Then, we went to the Madagascar Store and I ended up spending some of my JS coins on a few cool animal print Threadz! I put on my new outfit and went to a super cool V.I.P party. After the party, we played a round of Dance Off in the OctoLair! It was so much fun and I just wanted to say to let everyone know that JumpStart is the best game in the world and I love it so much! Very exciting things are happening at my school, these days. Sometimes we make our favorite animals out of the left over cardboard from paper towel rolls. The other day we made a bald eagle and for feathers we cut out blue squares and folded them to make them look like triangles. When we layered them they looked so cool like real feathers. Anyways, now we’re making a folder with pictures of our favorite animal. My favorite animal is a horse, or pony. Even though I never really seen a horse I look at them at pictures. I really hope I get to do this again next year in school! Once upon a time I was with my friend Isabella IceWolf and we were walking past the Broomball tent. We decided to go inside and take a look at what it was. We decided to play, taking off on the blue team known as The Unicorns. We flew through the field and I went to the left while Isabella went to the right. We were both able to score at the same time, and by the end of the match our team beat The Dragons. To celebrate after we won the Broomball game, we went off to throw a party in my Jumpee’s V.I.P Lounge. Once upon a time there lived a little dragon. The dragon’s dream was to be adopted by someone who really loves him. One day, the fairy from the Enchanted Sanctuary came with some good news! Someone was ready to take the little dragon home. The dragon was so happy it jumped right into its owner’s arms. The owner hugged the dragon and said "You’re going to live with me." Frankie the dragon smiled. Once upon a time there was a girl named Alex. Alex GoldenWing. She loved to go skating. She found this skating rink where you could skate with Zoo animals! She also loved zoo animals so she was really, really happy. She grabbed 9 other friends and all together they had a skating party! But then out of nowhere a flying cake hit her in the face! It was a chocolate cake with white icing! Yum! She wasn't really scared; she was just surprised that a cake hit her. Out of nowhere ice cream fell on her. It was her favorite kind! Mint chip! Now she was really, really, REALLY happy! Then randomly one of her friends named Alyssa came over and put a cherry on top of the ice cream and said, "Enjoy!'' Alex smiled. After they were finished skating they got an autograph from the zoo animals. One from Marty, one from Gloria, one from Alex, and one from Melman. Alex and her best friends had the best day ever! THE END! I got a new twin on JumpStart! Her name is Nicole GoldBolt like me, but she has less jump stars than me. This is an awesome time now! We took photo bombs together. We looked at the Comic Books, too. I love having a twin on JumpStart! Our neighborhoods are the same, the VIPs, the rooms, the houses, everything is, even our favorites! Just the ages and jump stars are not the same. But I don't care! I love my twin. She is nice to me. I will never stop being her twin. Once upon a time, a little bunny named Dashy wandered around a mythical forest. There he spotted a cave. He went to explore it. Dashy had found a huge chest full of gems. It took hours for Dashy to return to the village. There, everyone spotted Dashy with a chest full of diamonds and jewelry. Dashy was a very thoughtful person, so he donated all the gems to the less wealthy. He felt that he did something good. The next week, he got a gift and a letter. "Dear Dashy: Thank you very much for the gems. We appreciate it very much. So dashy opened the gift and there was a video pad. Sharing is caring and you might not get something back right away, but you will eventually get something in return. THE END. Since 2008 I’ve been playing soccer. I was in U8 at first which is six to seven year old kids and now I have moved up! Last year (2012) we got 1st place so we had to go to the state soccer! When we had our first day we won all three games then on our second day we lost a team named Gemney cause the were tough and had older PLAYERS!!!!!! I told our team at halftime “We can do this” We tried our hardest but lost. My dad is my coach and he said this at the end of the game “I know we lost but we did not cheat, we tried our hardest and we put our minds to it” I was given a 1st place medal all I thought about was a famous soccer player named Mia Hamm scoring the most goals in the world I've always wanted to be a famous soccer player! Mia Hamm said this "You can do anything you put your mind to" On jumpstart I share my story! I've been playing soccer for four and a half years! Hello Jumpstart! I am a very big fan of yours. I am Jennifer Gem. I am sending you this because of my love for Jumpstart. 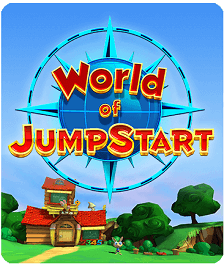 Jumstart is a very fun virtual world for kids made in the year 2009 . Children 5 year old and older can play this game . Now, it is one of the most fun times of jumpstart which is time for St Patrick’s Day. We really enjoy this season and appreciate a lot of your hard work making out such a cool FunZone. 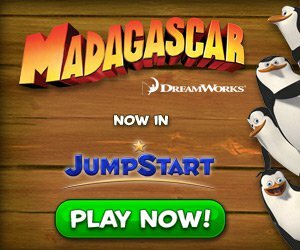 The new Madagascar features from jumpstart is very exciting and fun. The Times Square in jumpstart is a place where you can enjoy sometime skating and of course, in the Music City where you can dance to the rhythm of the song ‘Echolocation’. I really enjoy jumpstart now and I really like the cool new features like The JumpStart Times, where you get a chance to show your own creativity. I feel very happy by sharing with you about my experiences on JumpStart. I enjoy playing Jump Start. My and my friends sit at the computer and we play. It is really fun! I like to play with my mythie and my monster mutt. I also like playing free fall mountain. I like playing with the zoosters. I like dressing up my mythie and me. Sometimes I have pink hair! I enjoy running around on my ride and playing on the FunZone. I also like re-doing my room and playing in the pool in my neighborhood. Sometimes I do my room greek theme. I enjoy earning coins and doing math. I like how you can earn money to buy cool things. I like making up funny names for my mutt, mythie, and me. I really enjoy playing on jumpstart because it is a lot of fun. THANK YOU JUMPSTART!!!!!!!!!!! !